The City of Toronto has issued an Extreme Cold Weather Alert for the city that will be in effect until further notice. 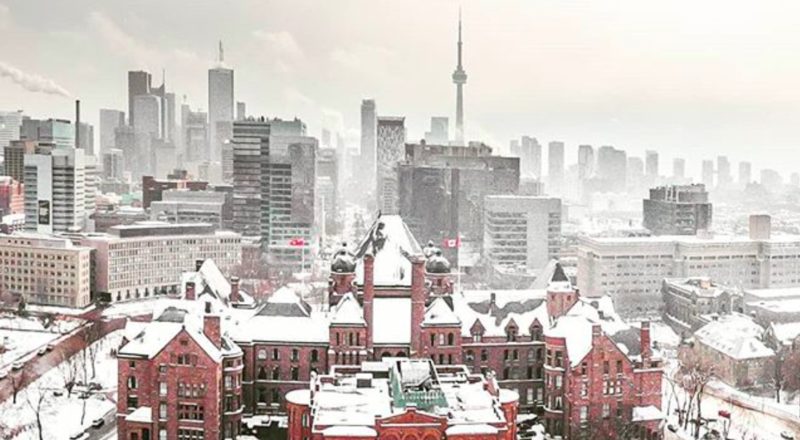 According to the city, “Extreme Cold Weather Alerts” are issued when the temperature is forecast to reach -15 degrees Celsius or colder, or when the wind chill is forecast to reach -20 or colder. Environment Canada forecasted that Toronto will see some flurries today, with temperatures falling to -2°C this afternoon, but it will feel more like -13°C with the windchill. 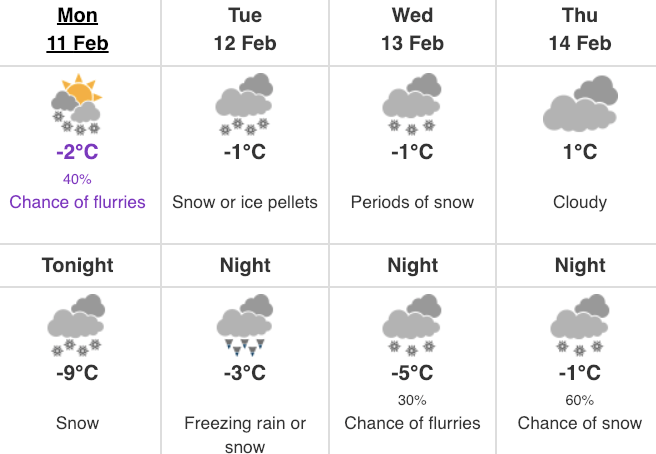 By tonight, there is snow in the forecast, and a low of -10°C, but it will feel more like -19°C. Additionally, according to Environment Canada’s Special Weather Statement, “total snowfall and ice pellet amounts of 5 to 15 cm are possible” on Tuesday.